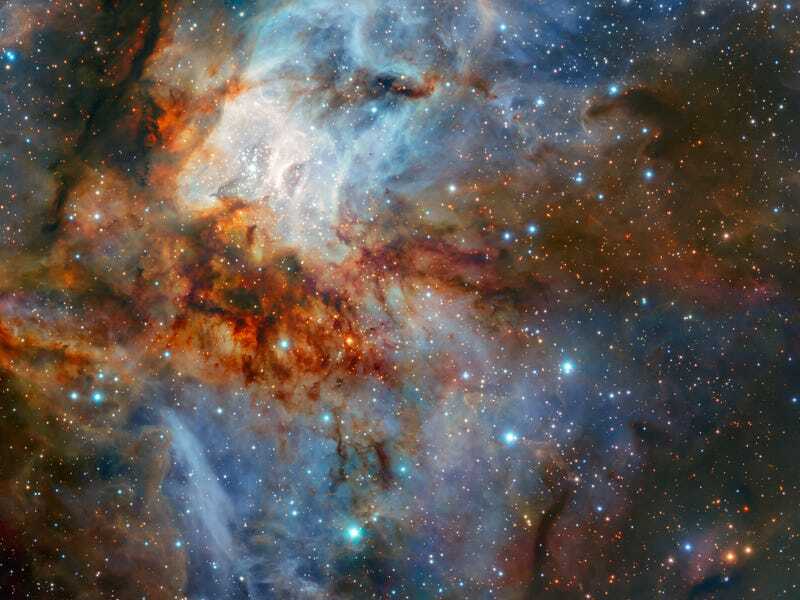 A new image of star cluster RCW 38, an area strewn with young, hot, massive stars, is providing an unprecedented glimpse into a tumultuous region of space located 5,500 light-years from Earth. This exquisite view of RCW 38 was made possible by the HAWK-I infrared imager mounted on the European Southern Observatory’s Very Large Telescope (VLT) in Chile. This instrument can pierce through dusty star clusters, revealing details like individual stars, glowing gases, and long streams of cosmic dust. Star cluster RCW 38 is in the constellation of Vela, and it’s packed with young stars and protostars still in the process of forming. Many of the stars within this cluster abide by the credo of living fast and dying young; the largest of them will eventually explode as supernovae. 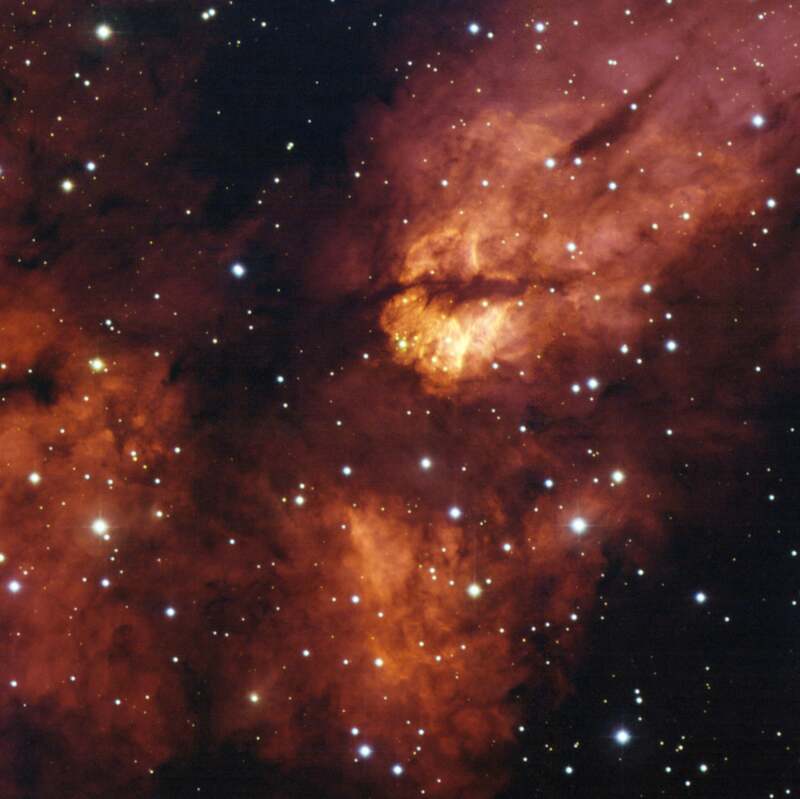 This new image of RCW 38 scarcely compares to previous photos taken of the star cluster (see above image for an example). When seen in optical wavelengths, its dust and gas effectively block our view of the area.